Moving from Amazon Vendor Central to Seller Central – Find out why breaking up is not always so bad! Hitting the headlines this month is Amazon’s Vendor Purge and it’s been causing chaos…but don’t panic, we have the solution! Over the last few days vendors across a range of product categories received routine order cancellations via emails from the e-tailer. In a nutshell Amazon has informed vendors that it will no longer place direct purchase orders for that vendor’s products. This would suggest to sellers it’s time to set up an account in its Seller Central platform, in which vendors are responsible for their own inventory. If your brand depends on Amazon’s revenue, then time is of the essence, so you don’t lose sales and ultimately sales ranking too. So now there really is no better time for you and your team to start to strategize about how to move to Seller Central and learn how this transition changes your Amazon business. Take a read of our blog that will explain the advantages of moving from Vendor to Seller Central, all is not lost there’s lots of opportunities to be had! Why would you want to move from Amazon Vendor to Amazon Seller? One of the biggest reasons why a Vendor may wish to move to Seller Central is the element of control. On Seller Central, you have much more control over products and pricing versus Vendor Central. Seller Central allows you to set your own retail prices, which can allow you to keep pricing consistent across all platforms including your own e-commerce site, thus potentially reducing any sales cannibalisation that listing on Amazon may bring. Whereas on Vendor Central Amazon controls all of the pricing, as once they have the stock delivered to them they in effect own the products. Another element where Seller Central has the edge over Vendor Central is the control over inventory. All inventory in Seller Central remains the sellers, even if it is being held at an Amazon fulfilment centre for FBA purposes. 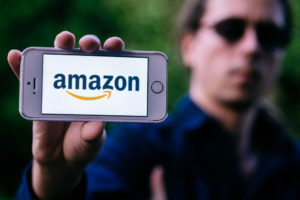 Meaning that a seller can decide to recall all stock if they so wish and also to cease selling certain lines immediately too rather than waiting for Amazon’s stock to sell-through. Sellers’ control over inventory also means that they can list and sell products that may not be ordered through Vendor Central. Vendors could initiate a Vendor-initiated PO, but there is no guarantee that it would culminate in an order, whereas as soon as a Seller has listed the item it becomes eligible for purchase. This can be particularly handy when launching new products on Amazon, with Vendors struggling to receive POs as there may be no sales history behind the lines. Cost can be another factor which makes the decision to move from Vendor Central to Seller Central a little easier. Costs on Seller Central are simple, you either pay a per item sold fee or (probably more likely) you pay a monthly fee, then you pay a percentage of each item sold. You may also have FBA fees per unit if you choose to have Amazon fulfil orders on your behalf. Vendor Central, however, has different terms which it agrees with Vendors on an individual basis including marketing contribution and damage allowance. Amazon will also negotiate hard on cost prices and even once agreed may come back further down the line to renegotiate costs down further. The reporting that is available within Seller Central is huge compared with that available within Vendor Central (unless you pay for it!). 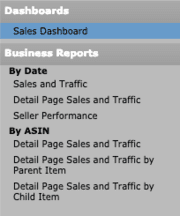 Seller Central’s Business Reports allow you to see how many times your listings are being viewed and how well they are converting allowing you to make data-informed decisions on things such as content amends or advertising campaigns. Vendor Central, on the other hand, is very restrictive in the data it gives away within ARA (Amazon Retail Analytics), vendors can get access to more data with ARA Premium but this comes at a significant cost (we’re talking tens of thousands!). Of course, another key point not to be overlooked is that of payment terms. On Vendor Central you may be on Net 60 day payment, maybe Net 45 if you are lucky or Net 30 if you are prepared to give away a further percentage of margin to Amazon. Seller Central, on the other hand, is much sooner. The standard timeframe for sellers is every 14 days, however, you can request payment at any time (which will usually take 3 days to process, so in theory, you could request payment every day if you so wished. The difference in payment terms could be significant for smaller to medium business who need to keep a tight eye on cash flow. What else should you consider when transferring from Vendor Central? One factor you may want to consider is any existing content that you may have set up within Vendor Central, e.g. A+ content. Whilst Seller Central has Enhanced Brand Content (EBC), it can be problematic when coming from a vendor account. More often than not, sellers will encounter issues when attempting to add EBC to a listing which has existing A+ content, Amazon will simply prevent the creation of EBC on a retail listing. As such, it makes it difficult if you need to edit the A+ content if you no longer have your vendor account. One potential option may be to make sure you have all of the A+ copy and assets saved and then delete the project before you make the transition to Seller Central, this should then remove any A+ from your listings, enabling you to recreate these within Seller Central’s EBC area (once Amazon has sold through all retail stock). Brand new sellers on Amazon are not eligible to win the Buy Box for the first 60 days of opening the account and listing items. As such, there is a chance that those transitioning from Vendor to Seller may encounter Buy Box issues initially which would undoubtedly have an impact on sales. This is something that should be seriously considered if Amazon accounts for a large proportion of your overall business. Rather than simply turning your back on Vendor Central, the first option could be to run both Vendor and Seller side by side. 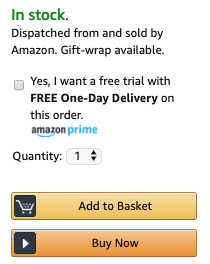 This is often referred to as the ‘hybrid model’ and allows you to continue to accept POs for items Amazon is regularly ordering, but also list and fulfil other products in Seller Central which may not be generating any POs within Vendor Central. The hybrid model also allows you to cover for any vendor stockouts and solves the problem of launching new products which wouldn’t generate any POs on the vendor side initially. If you would like to discuss transferring from Vendor Central to Seller Central, or any other issues that you may currently have with selling on Amazon then feel free to get in touch with us to see how we can help!